For years, businesses have found that video marketing is big business. And today, the popularity of live streaming and video platforms like YouTube, Periscope, Snapchat, and Facebook Live has made video more accessible than ever to both buyers and brands. 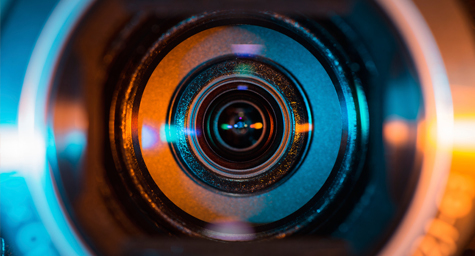 To make video marketing benefit your business, Inc.com shared five simple tips for crafting compelling videos that get more people watching and wanting your brand. With so many video marketing channels and choices today, it can be hard to select the best media platforms to use. Since no single video platform is definitively the best, you need to select the video platform that is best for your target audience. To figure this out, think about the kinds of videos that will appeal to your audience. Whichever platforms you choose, strive to produce frequent videos that are relevant and engaging. Then, you must analyze their performance. According to media experts, video can benefit every kind of business, regardless of its size or scope. But video can be especially useful for brands that make visual products. No matter the product or purpose, the way to make the most of video is to have a powerful speaker and powerful content that make the product and its performance the stars of the show. Start by showcasing the brand’s way of thinking. Choose and use a tone that best represents your audience’s personality. If your market is young and fun, create amusing content. If they’re more reserved and serious, create more straightforward content. Whichever tone is taken, make the video engaging and informative in order to make it enjoyable. Develop content that builds up a brand’s credibility and reputation. Finally, leave viewers with a memorable message that makes them feel that your video was worth watching. Many brands hesitate to pursue video marketing because they fear that their industry is dreary or dull. But any industry can be made more exciting by getting creative with video. Think about what your audience would like to know about your brand, and then develop a creative concept that conveys this information in an unexpected way. The concept can be simple, silly, or surprising, as long as it keeps viewers engaged and entertained. Some brands think video is only used to increase exposure and word-of-mouth, but it can also be outstanding for generating inbound leads. One proven way to gain leads is to have a video convey useful information and educational insight, and then end it with an offer to download additional information or register to learn even more. When looking for more leads, many experts recommend posting informative and educational videos on YouTube because it lives on for years after it’s created. Today, YouTube is the second largest search engine in the world and more people are spending more time on it than ever. By simply posting videos on YouTube, your business can have virtually endless opportunities to gain leads with little effort or expense. Use these five savvy strategies to make video marketing work for your business.